How does God call us? The answers are as different as we are. Sometimes God summons us through the Church and sometimes in spite of the Church. In the depths of loss and confusion God speaks to us, beckoning us to follow an unexplored path. While we are heading in one direction, God surprises us with an undeniable invitation to go another way. Wide Open Spaces includes essays by women who have experienced and responded to God’s call in all of these ways. The ministers and Christian educators whose stories fill this book testify to God’s grace in the midst of their lives as single people in family-centered contexts, as women whose callings also include parenthood and marriage, and as those who the Church refuses to fully accept. Discrimination, harassment and homophobia pierce the narratives in this book. Yet this is not a book about defeat. It is a book about perseverance rooted in Christian faith. Woven through these varied stories is one story: wherever life takes us, God is there, calling us by name. 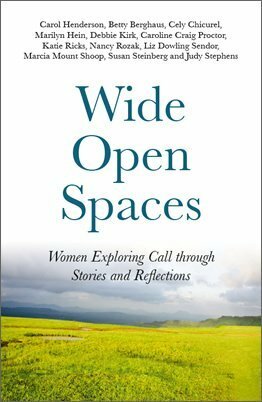 "Wide Open Spaces offers remarkably honest stories of spiritual travel and growth, filled with doubts, fears, pain, love, and joy. By taking us along their vocational paths, these courageous women have opened the door for readers to follow after them and pursue their own deepest desires—the prompts at the end of each essay will help guide readers along the way. A richly rewarding and inspiring book." "To listen in on this circle of women tell their call stories is to stand on holy ground. Take off your shoes. Be prepared to stub your toes as you trip over truth in these pages. You'll wonder how it is possible to find echoes of yourself in these intensely unique and personal testimonies. Perhaps it is simply the age-old human reaction to a relentlessly calling god, but what I know is that this book makes me want to answer. And it makes me want to write!" "These accounts of faith, hope, and love summon all of us to deeper life in the Spirit."